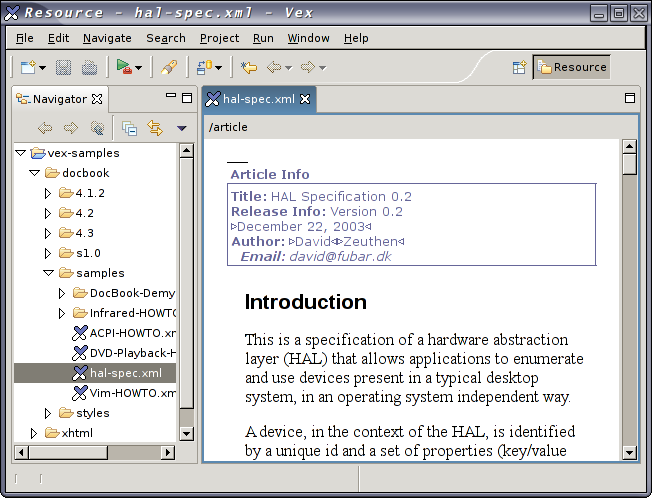 Vex is an eclipse plug-in editor for XML documents that works with Docbook and DITA doctypes. Vex hides the raw XML tags from the user, providing a word processor like interface. In Eclipse Vex has it’s own perspective that provides a panel for attributes of an element, an xpath status bar at the bottom of the editor that provides the current context within the document and an outline view of the major divisions. In short, a nice XML editor for simple XML document creation. 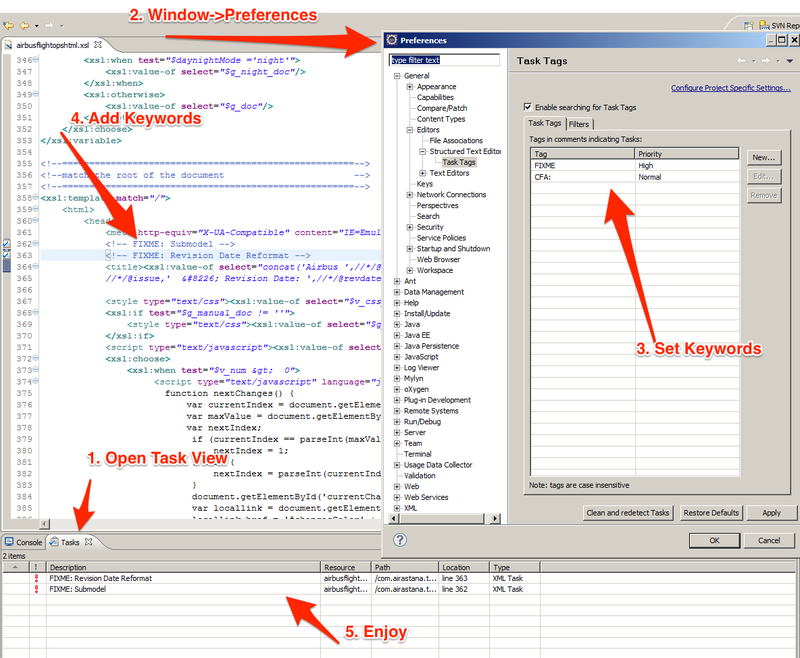 Downloaded the latest version of the <oXygen> XML IDE last night and was impressed with what I saw. <oXygen> is cross platform and supports both Linux and Windows as well as the Eclipse IDE. One things that I have always like about the Altova XML Spy suite (that they remove from their community edition) is the ability to collapse an element in the edit interface. This comes in really handy when working with complex documents. 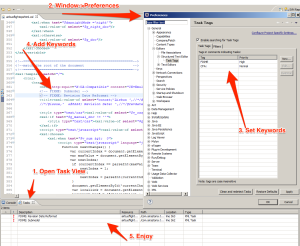 <oXygen> also has a nice Schema interface, XPATH 2.0 interface and diffing tool. Altova charges big bucks for all of this functionality. The equivalent functionality in <oXygen> for 1/4 the price, cross platform to boot? Summary good deal! NOTE: If you are running <oXygen> under Linux you do need a Sun JVM. The JVM that comes with the Fedora Core 4 & 5 distributions is not supported. To make it work in Fedora Core, rename the supplied /usr/bin/java binary to java.old and then include a link called java to the SUN JVM. Eclipse plugin provides an abstraction layer for the XML config files needed to customize WDK-based applications such as Webtop and DA. More information available at the Documentum Developer Site. Depending of the Java Home Settings on your machine, you may run into trouble with Eclipse. You can pass in a parameter at startup to Eclipse to specify which JRE you wish to use. Another option is that you can create a folder in the Eclipse install called JRE and then place the appropriate JRE in that directory.